A Roma woman and child in a camp during an investigation by the Racial Hygiene Research Center at the Reich Bureau for Health. 1938. For centuries, Romani tribes had been subject to antiziganist persecution and humiliation in Europe. They were stigmatized as habitual criminals, social misfits, and vagabonds. After Hitler’s rise to power, legislation against the Romani was increasingly based upon a rhetoric of racism. Policy originally based on the premise of “fighting crime” was redirected to “fighting a people”. Targeted groups were no longer determined by juridical grounds. Instead, they were victims of racialized policy. The Nazis established the Racial Hygiene and Demographic Biology Research Unit (Rassenhygienische und Bevölkerungsbiologische Forschungsstelle, Department L3 of the Reich Department of Health) in 1936. 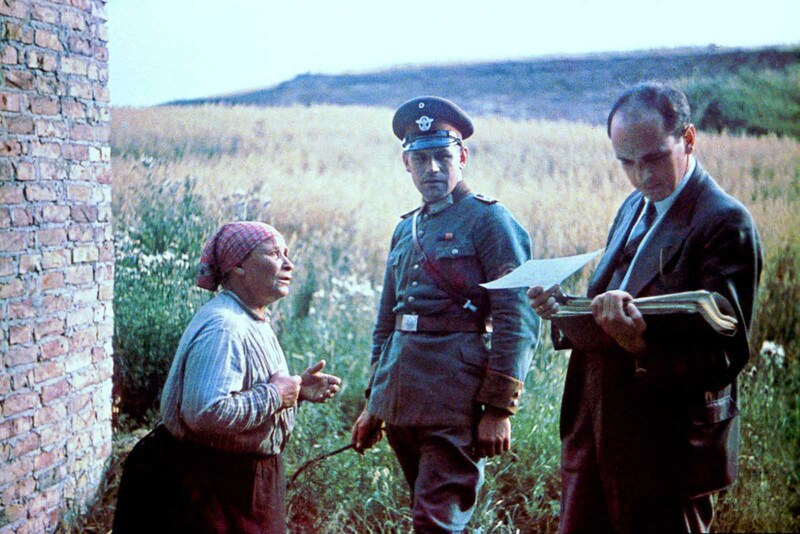 Headed by Dr. Robert Ritter and his assistant Eva Justin, this Unit was mandated to conduct an in-depth study of the “Gypsy question (Zigeunerfrage)” and to provide data required for formulating a new Reich “Gypsy law”. 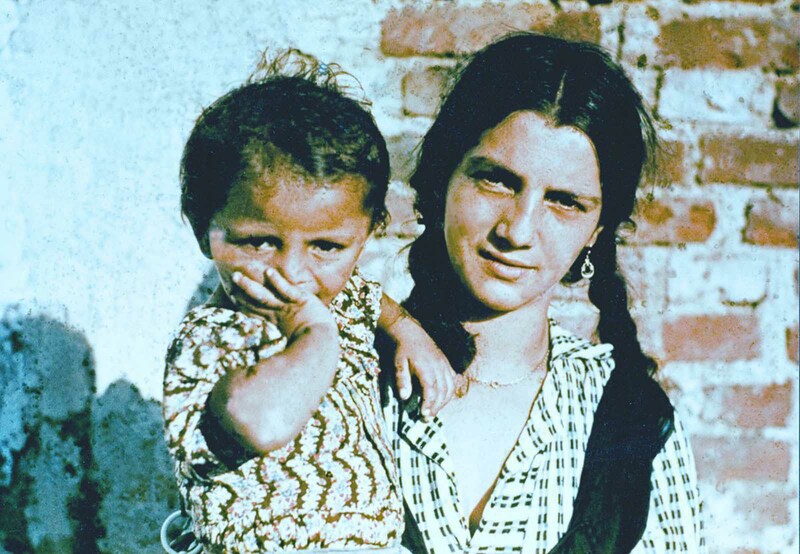 After extensive fieldwork in the spring of 1936, consisting of interviews and medical examinations to determine the racial classification of the Roma, the Unit determined that most Romani, whom they had concluded were not of “pure Gypsy blood”, posed a danger to German racial purity and should be deported or eliminated. No decision was made regarding the remainder (about 10 percent of the total Romani population of Europe), primarily Sinti and Lalleri tribes living in Germany. Several suggestions were made. 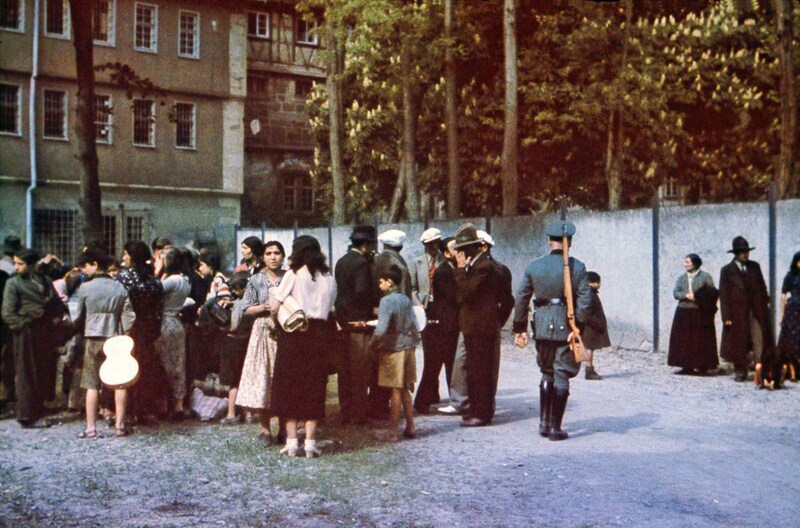 Reichsführer-SS Heinrich Himmler suggested deporting the Romani to a remote reservation, as had been done by the United States for its Native Americans, where “pure Gypsies” could continue their nomadic lifestyle unhindered. 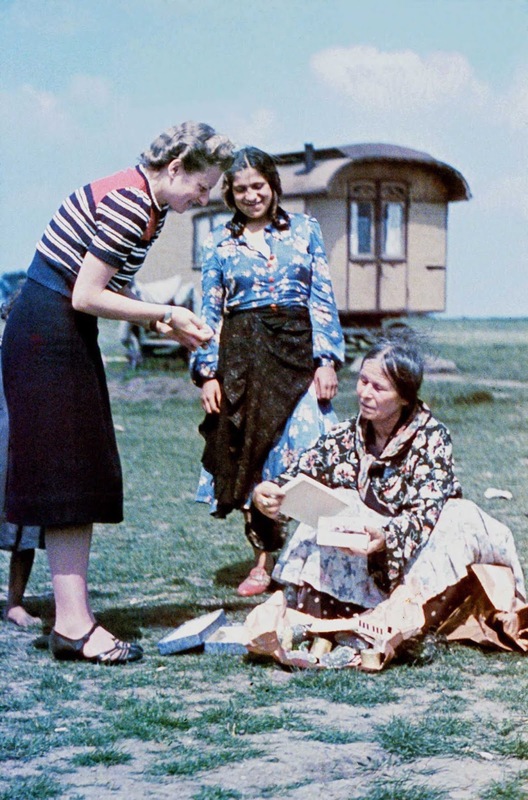 Although the Nazi regime never produced the “Gypsy Law” desired by Himmler, policies and decrees were passed which discriminated against the Gypsies. Gypsies were classified as “asocial” and “criminals” by the Nazi regime. Since 1935, Gypsies were placed into special camps. 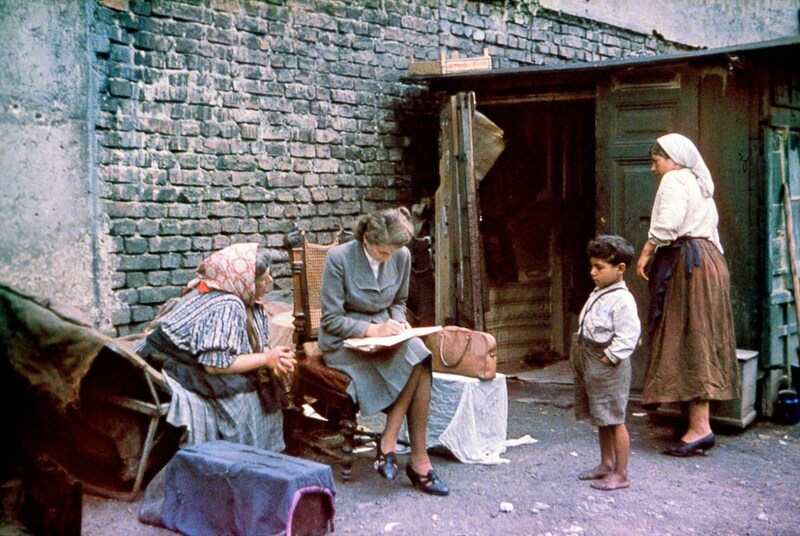 After 1937, the Nazis started to carry out racial examinations on the Gypsies living in Germany. In 1938, Himmler issued an order regarding the ‘Gypsy question’ which explicitly mentioned “race” which stated that it was “advisable to deal with the Gypsy question on the basis of race”. The decree made it law to register all Gypsies (including Mischlinge), as well as those people who “travel around in a Gypsy fashion” over the age of 6. Although the Nazis believed that the Gypsies were originally Aryan, over time they were said to have become mixed race and were classified as “non-Aryan” and of an “alien race”. Tens of thousands of Roma and Sinti were deported to concentration camps, where they were subjected to forced labor, medical experimentation and extermination. Historians estimate that the Nazi regime and its allies killed around 25% of all European Roma, possibly as many as 220,000. Eva Justin interviews a Roma woman about her family and ancestry. 1938. Dr. Robert Ritter conducts an interview with a Roma woman. 1938. 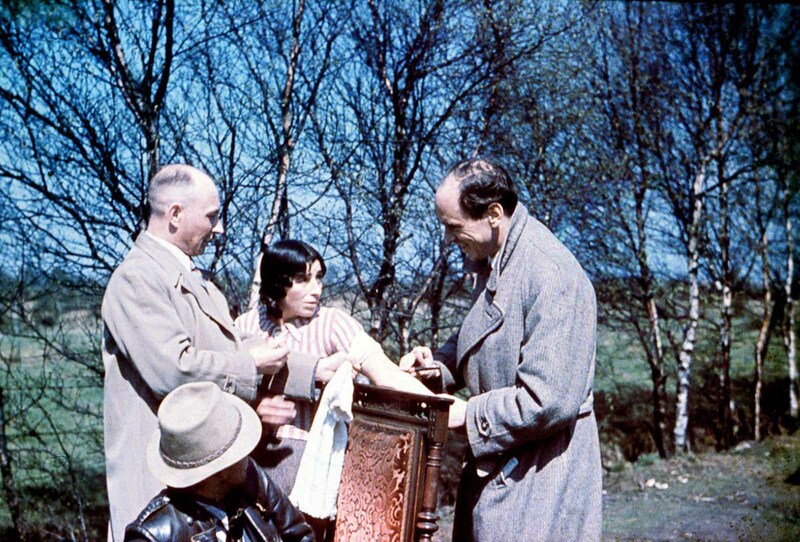 Dr. Ritter takes a blood sample from a Roma woman. 1938. Sophie Ehrhardt of the Racial Hygiene Research Center conducts an interview with an elderly Roma woman. 1938. 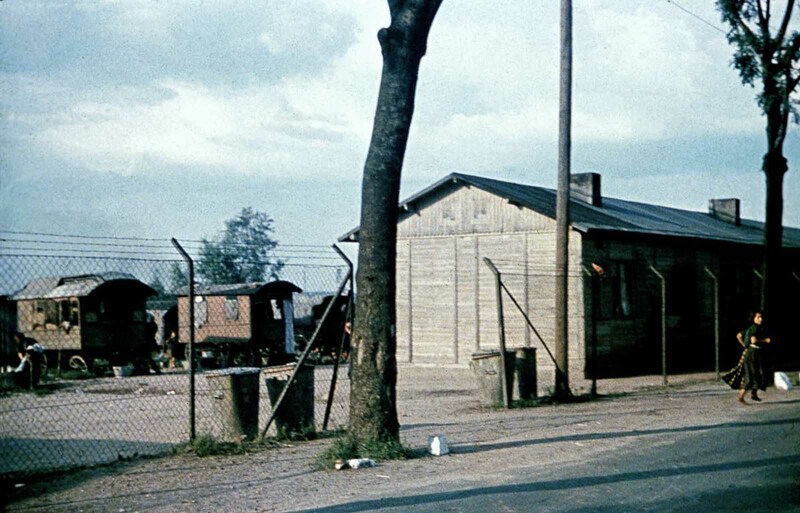 A woman runs outside a Sinti encampment targeted by the Racial Hygiene Research Center. 1940. 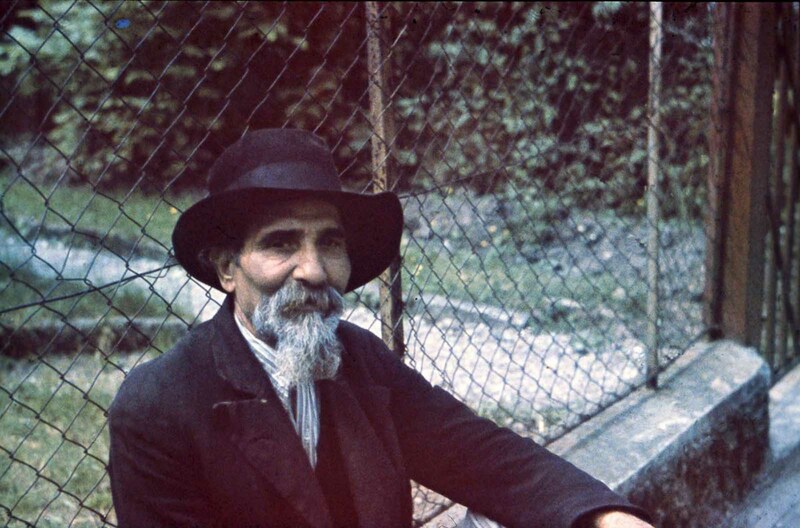 A Roma man in Asperg, Germany, prior to deportation to a camp in Poland. 1940. 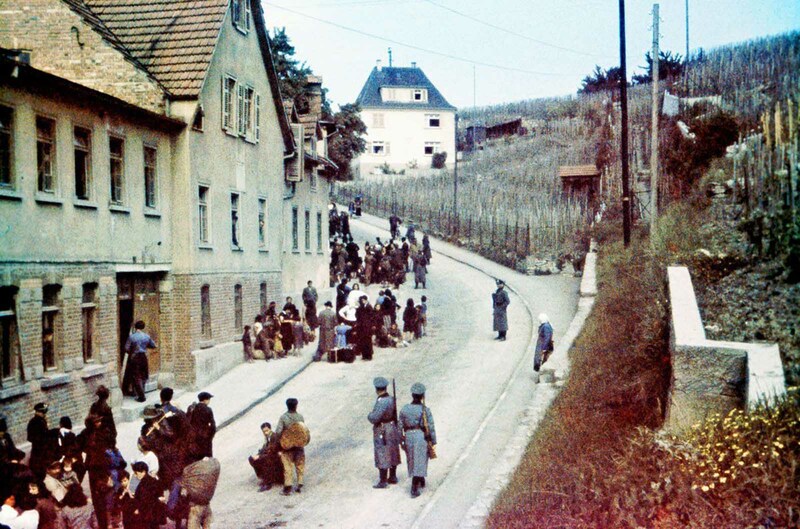 Sinti are rounded up by police in Asperg, Germany. May 22, 1940. 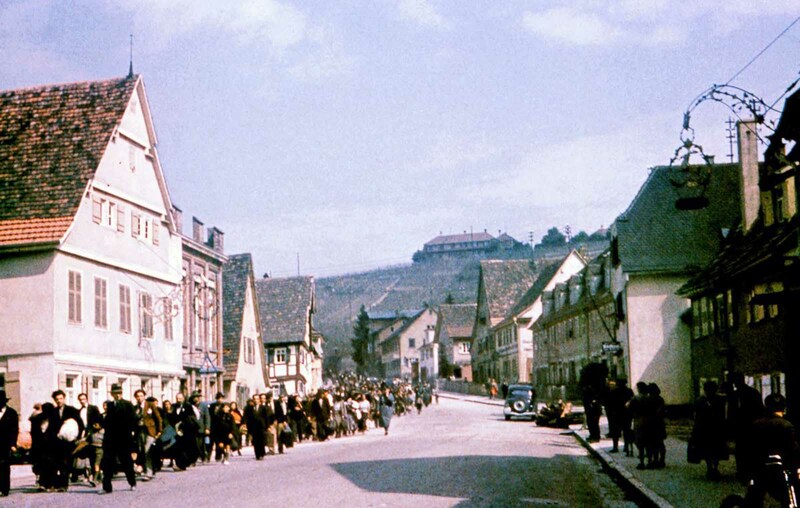 Sinti are marched down the street in Asperg on their way to Hohenasperg Prison prior to their deportation to camps in Poland. May 22, 1940. 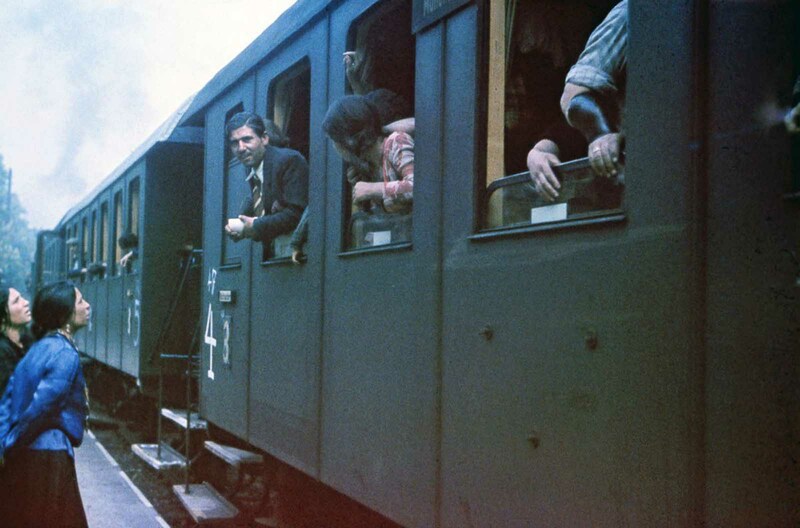 Sinti board the train that will take them to a concentration camp in Poland. May 22, 1940. Interesting that these photos were on color at a time when most photos of the Reich, Hitler, and the war were in black and white. Colour photographs based on the three colour process date back to 1868.